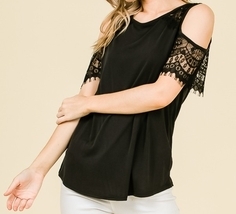 Ooh, this Off Shoulder Top is just sensational! A soft, smooth tank overlayed by a fabulous double ruffle! Wear it with pants or tuck it into a skirt! Fabulous!